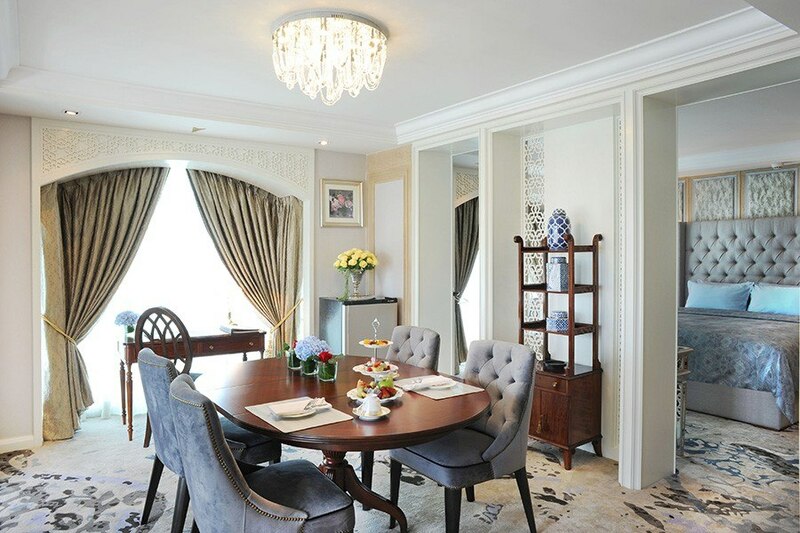 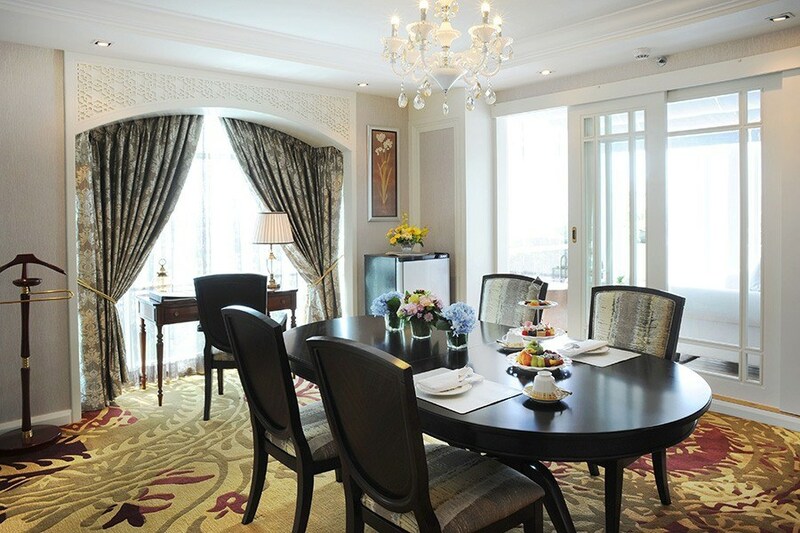 This luxurious 5-star property is an apt choice of accommodation if you are particular about comfort and style. 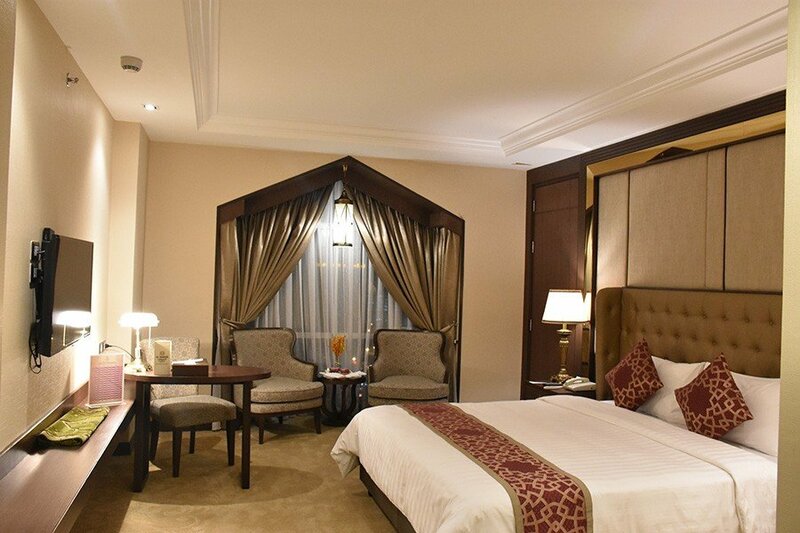 The large rooms along with clean bathrooms are a delight while the exclusive floor for only women ensures complete safety. 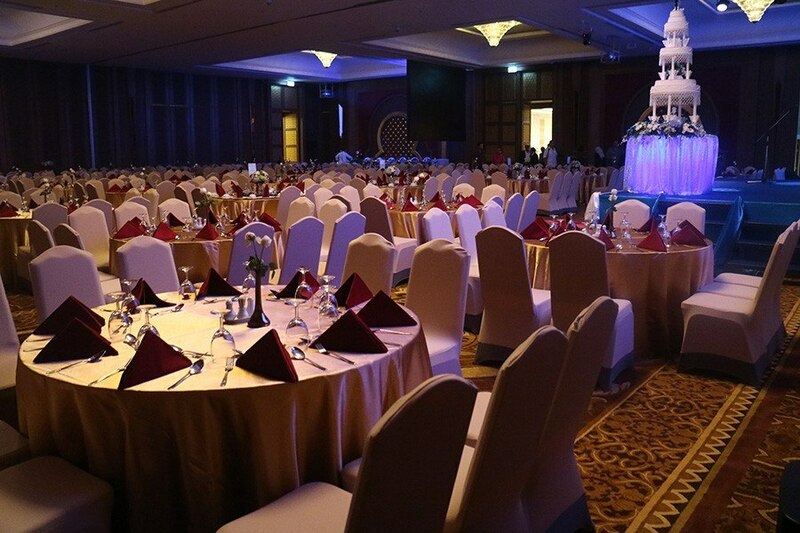 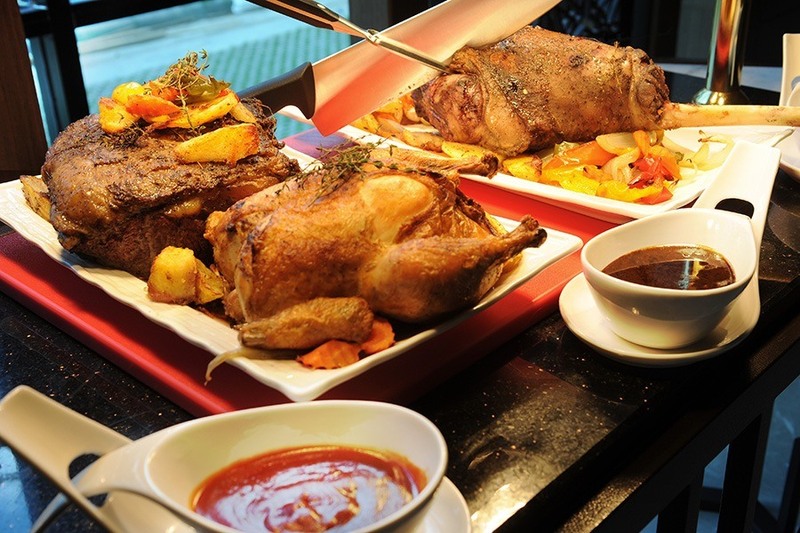 The extensive buffet spread takes special care to offer only halal meat suitable for guests from Middle East countries. 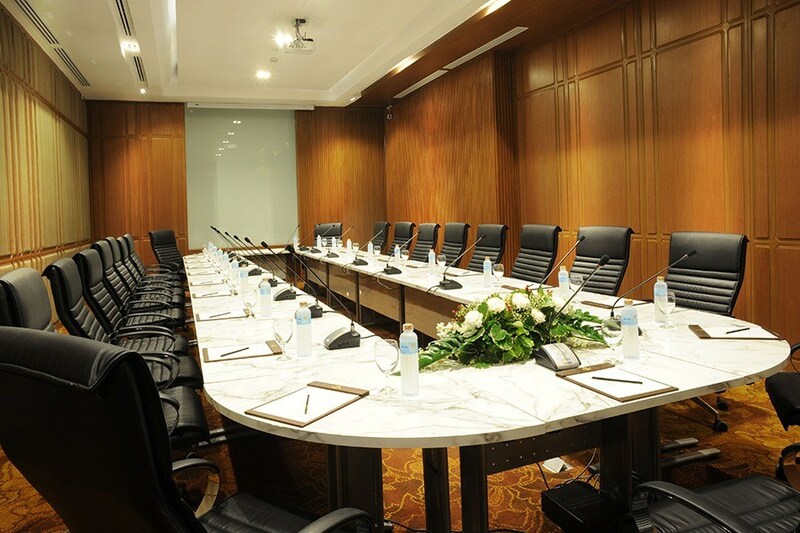 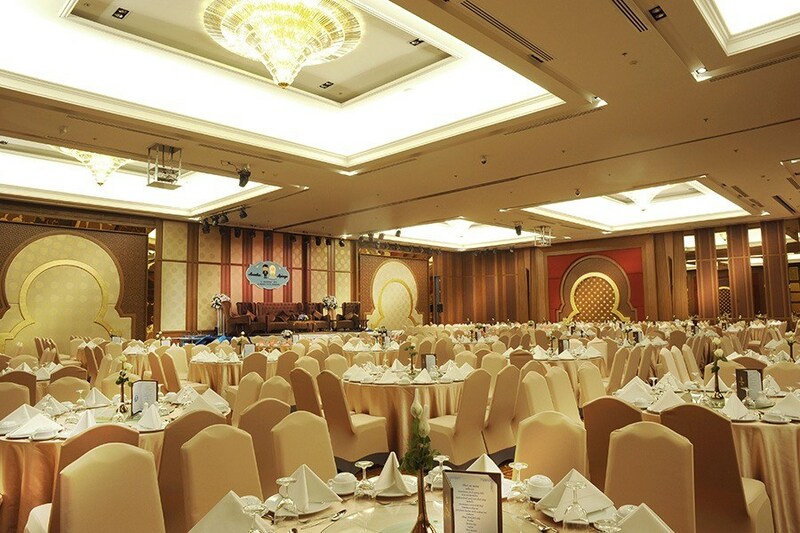 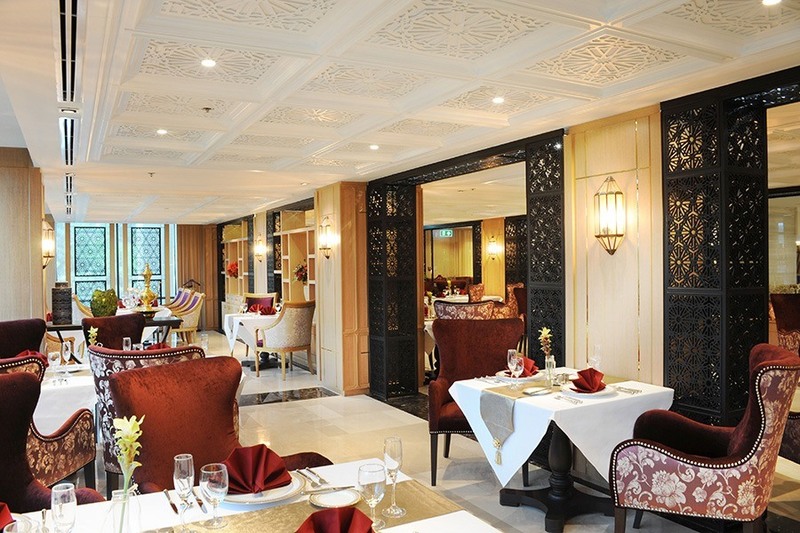 Al Meroz Hotel Bangkok is a leading 5-star halal hotel in Ramkhamhaeng road in Bangkok. 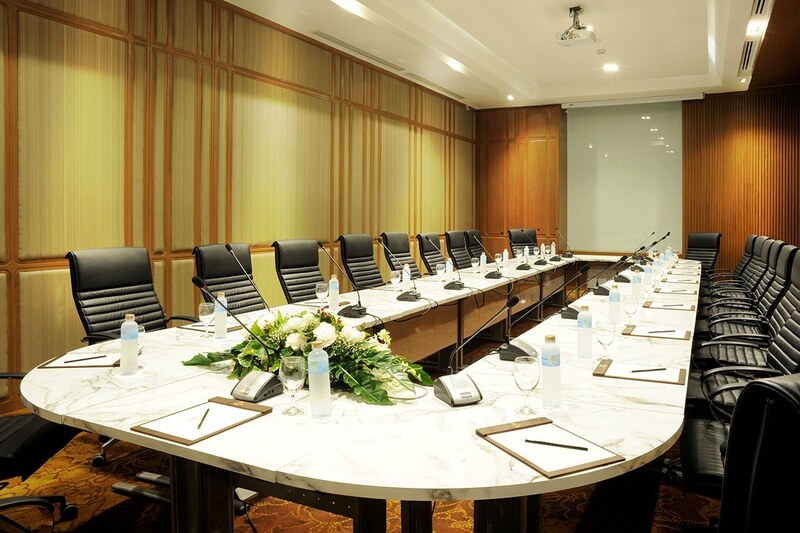 Al Meroz Hotel Bangkok is centrally located with easy access to downtown Bangkok where guests can experience the nightlife of the city. 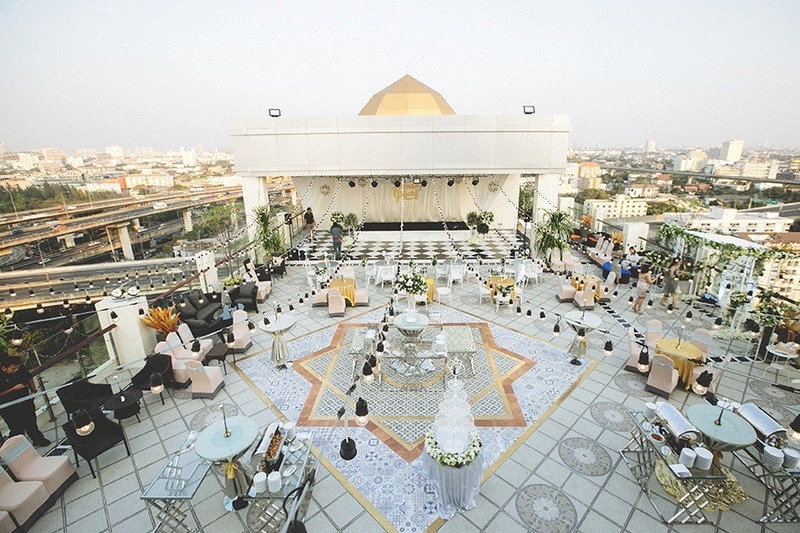 The Foundation Of Islamic Centre Of Thailand which offers religious guidance and services to the Muslim community is in close proximity to this hotel. 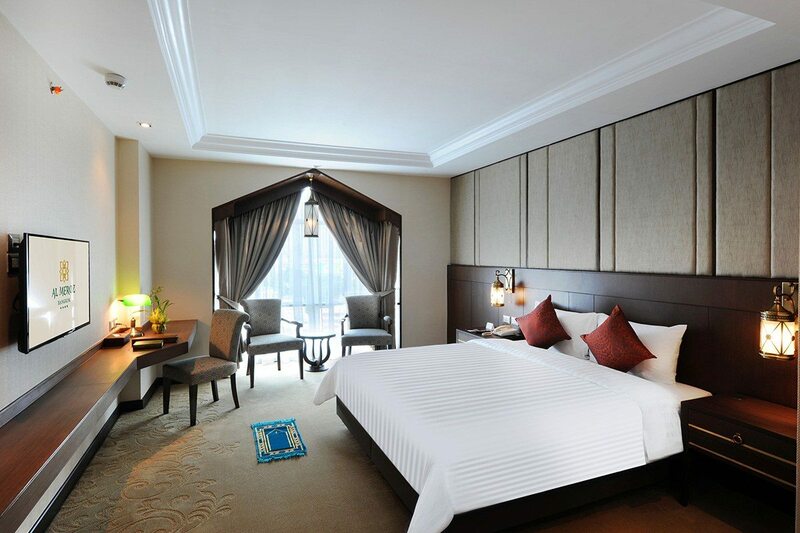 The rooms of the hotel, their services, and their restaurants have been created to ensure the wellbeing and comfort of Muslim guests. 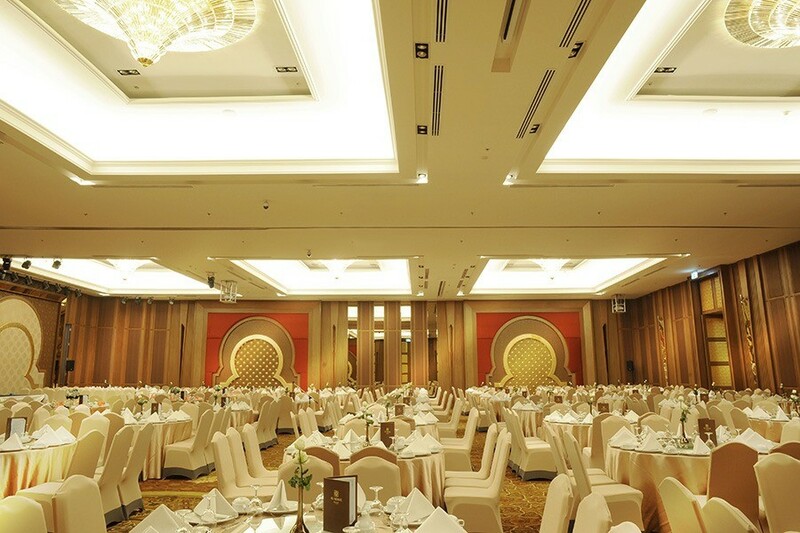 The hotel is suitable for both families as well as couples. 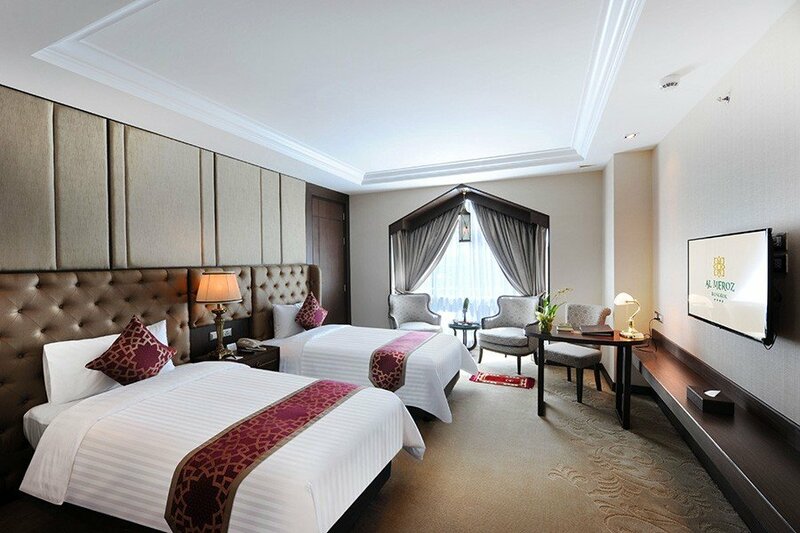 Both Suvarnabhumi International Airport and Don Mueang International Airport are 20 to 30 minutes drive away from the hotel and complimentary airport shuttle service is also provided to all the residing guests. 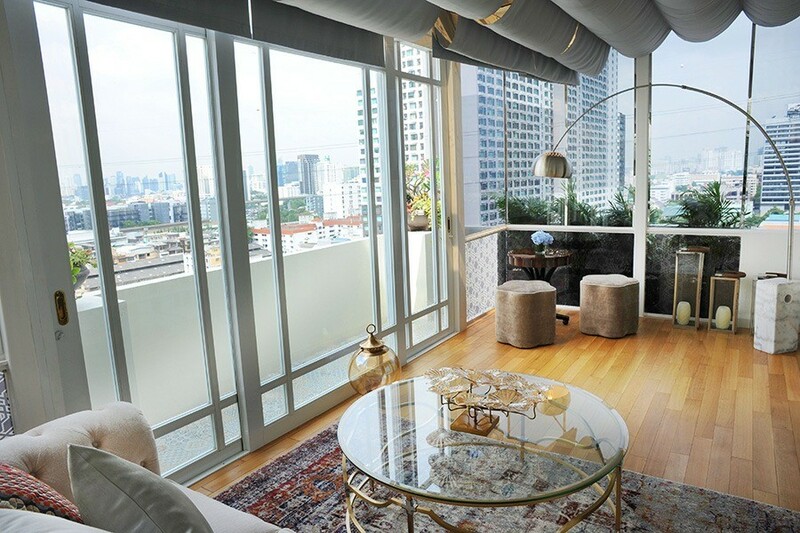 The patrons have the convenience of easy travel to the tourist attractions of the city as it is located very close to the transit systems, Airport Rail Link Ramkhamhaeng Station and Ekkamai BTS Station. 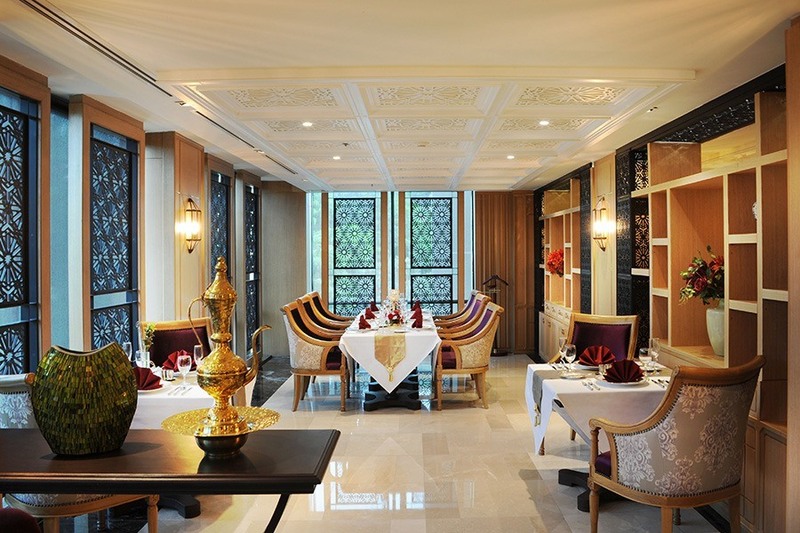 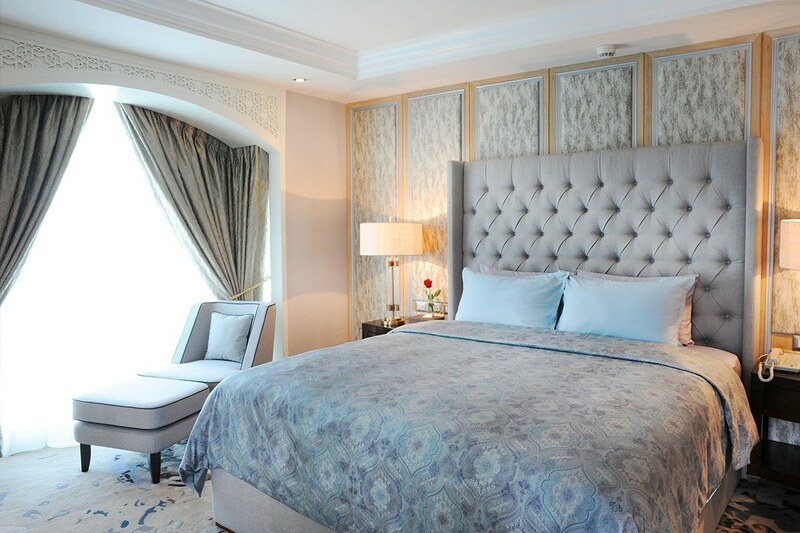 All the rooms and suites have been designed and decorated to give an Arabic feel to the entire place. 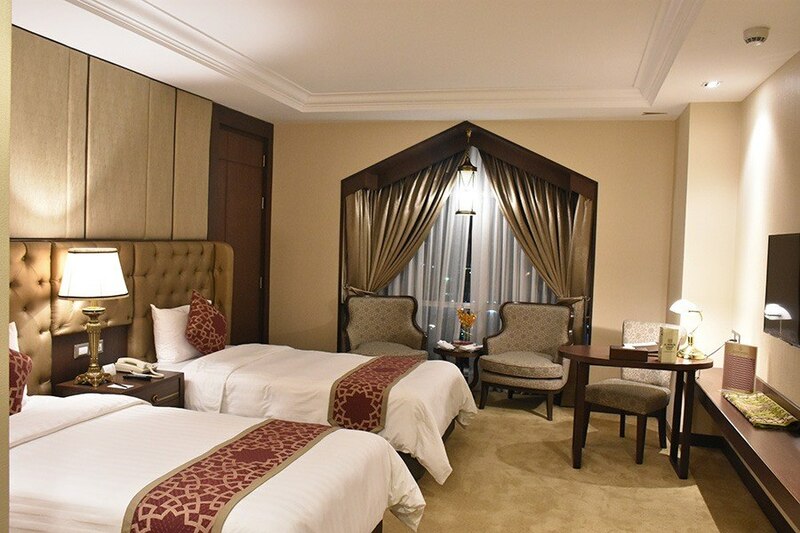 Accommodations offered here are all fully air-conditioned equipped with a mini bar with an assortment of beverages and packaged snacks, TV set with cable/satellite channels and a separate seating area. 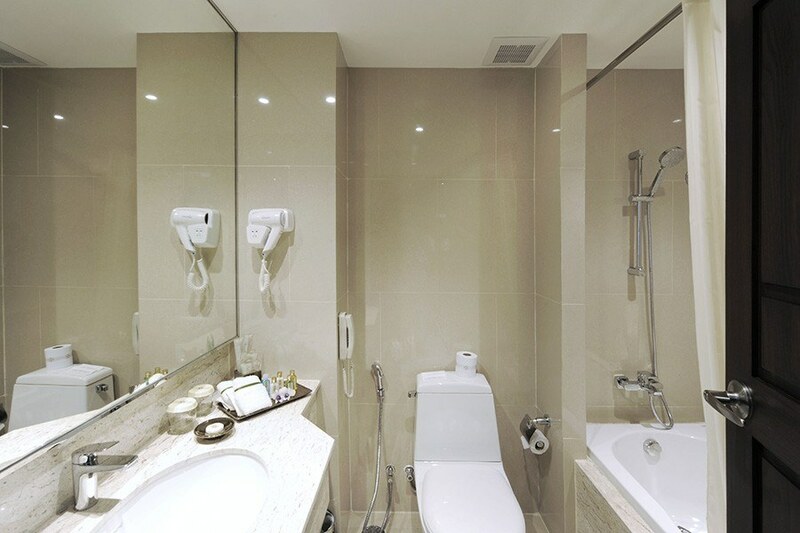 The guests can enjoy many facilities in the private bathrooms including premium showering facility and a huge bathtub. 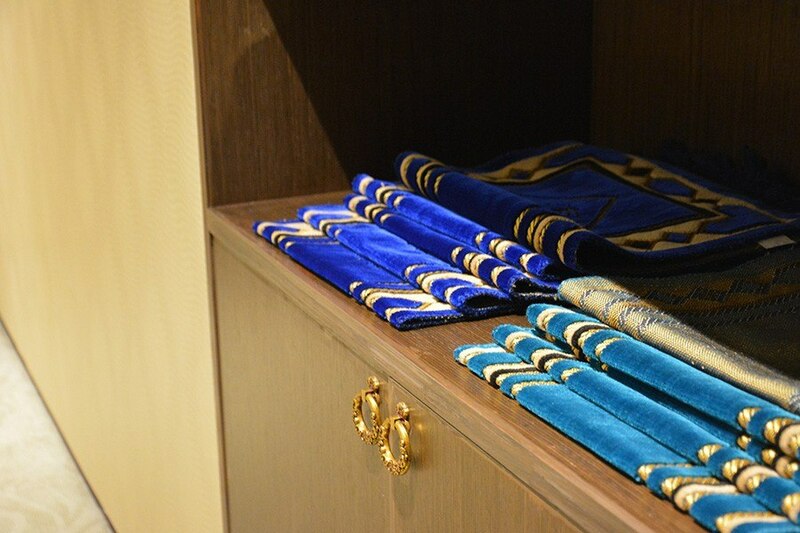 All the guests residing in Al Meroz Hotel Bangkok have access to praying mats in every room. 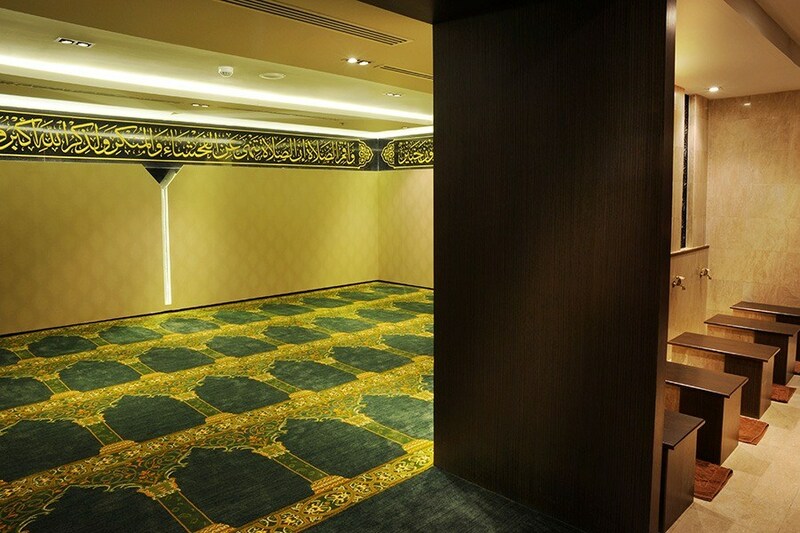 Separate communal prayer rooms for men and women is also housed by the hotel. 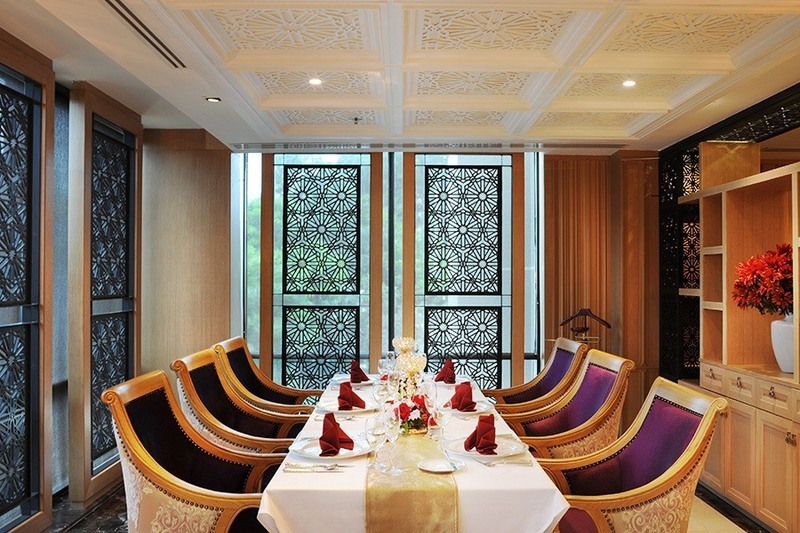 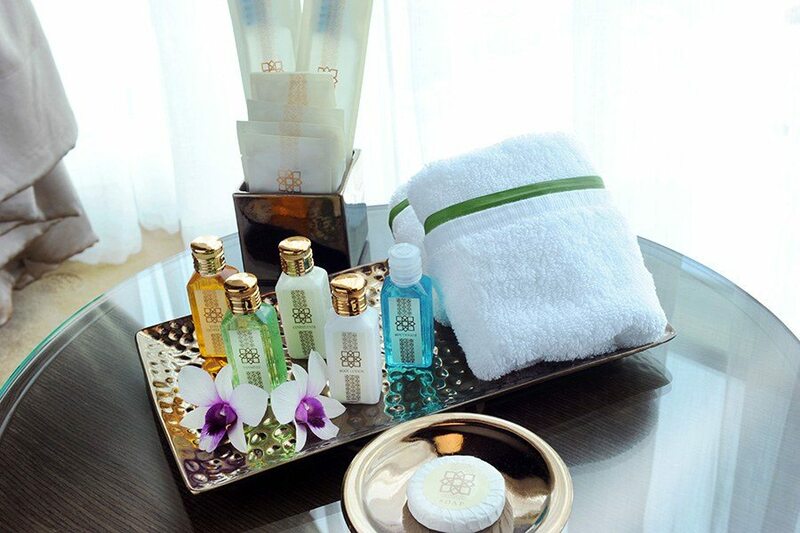 Al Meroz Hotel Bangkok is equipped with the amenities and facilities which are specially designed to provide the guests with a stay which has been inspired by the best traditions of the Islamic way of living. 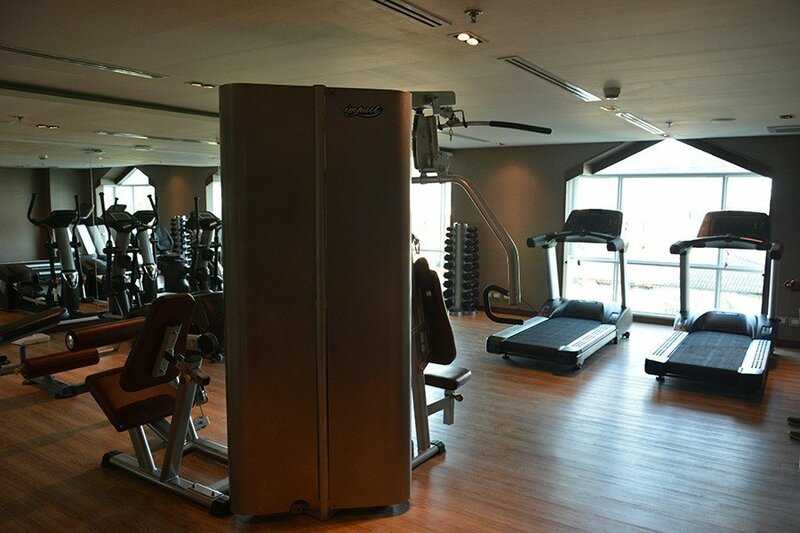 A huge open-air swimming pool is housed by the hotel with a gymnasium equipped with state-of-the-art facilities. 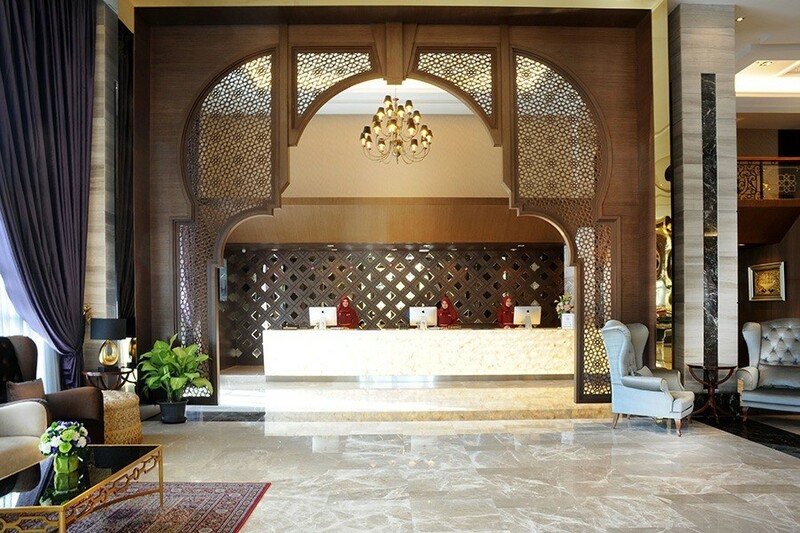 Both the pool and the gymnasium have specific rules about them being open only for females in the morning and males in the evening, and this rule has been created keeping in mind the Islamic way of living. 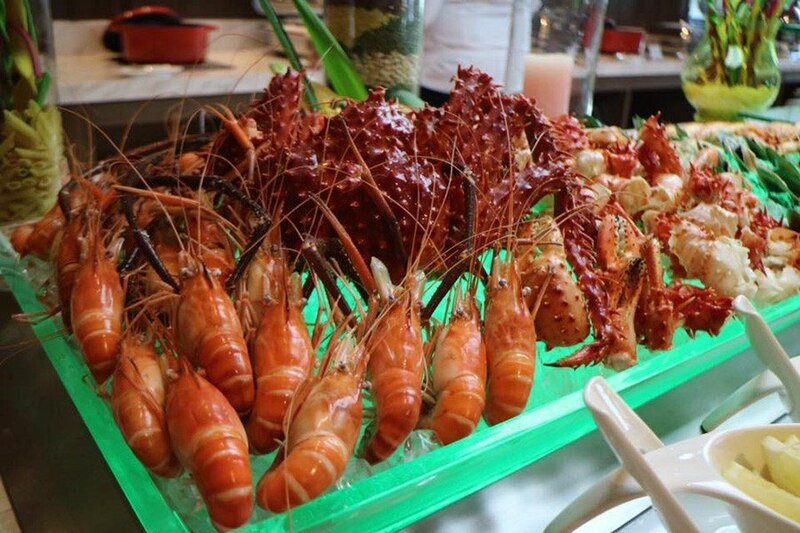 There is an on-site Shopping Arcade which has a variety of products, excluding alcoholic ones. 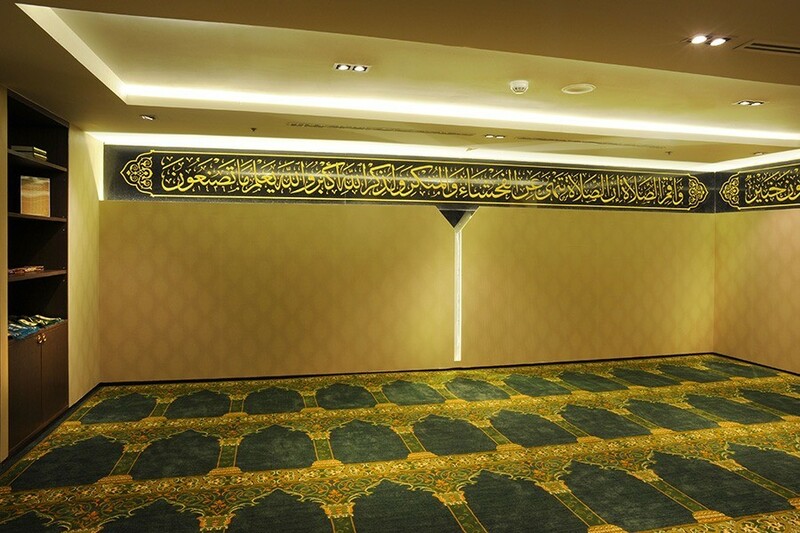 A prayer room is also available for use by guests for the daily Namaz. 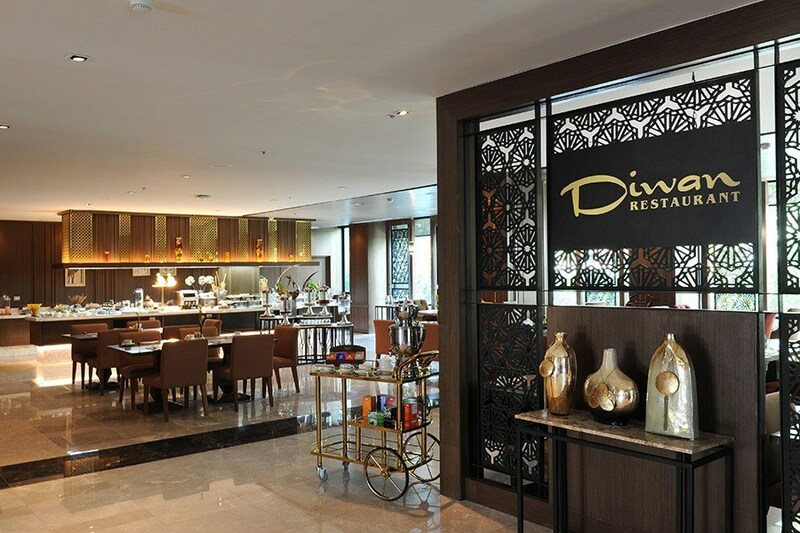 There are two restaurants inside the hotel premise which are, Diwan Restaurant and Barakat Restaurant. 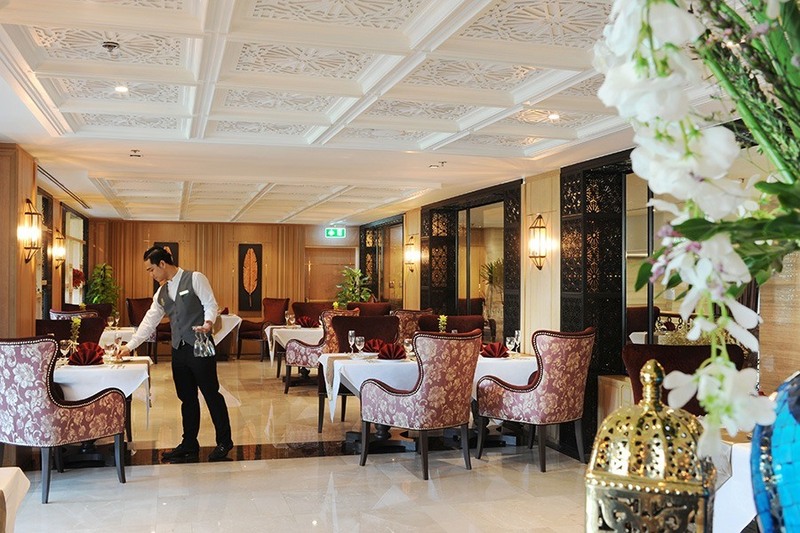 Both the restaurants serve only halal-certified dishes. 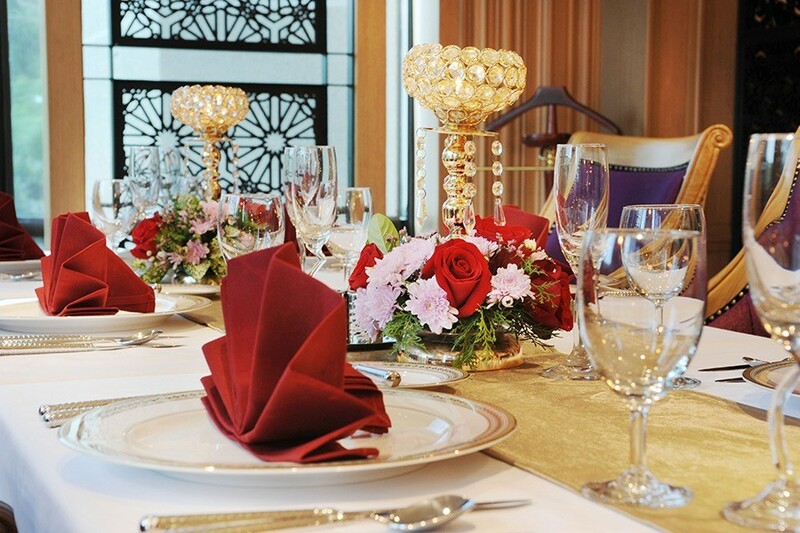 The Diwan Restaurant has a wide range of delicious food items created keeping in mind the Muslim guests needs. 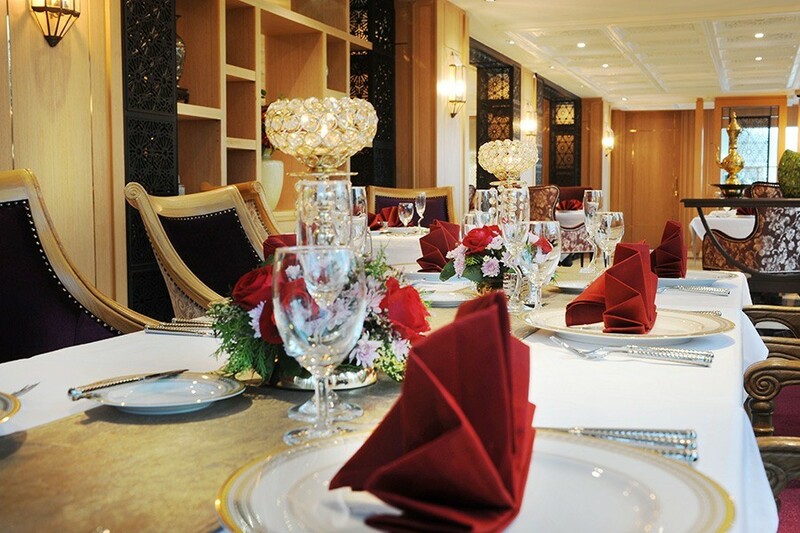 A few meals from Thai cuisine and some regional dishes are also served here. 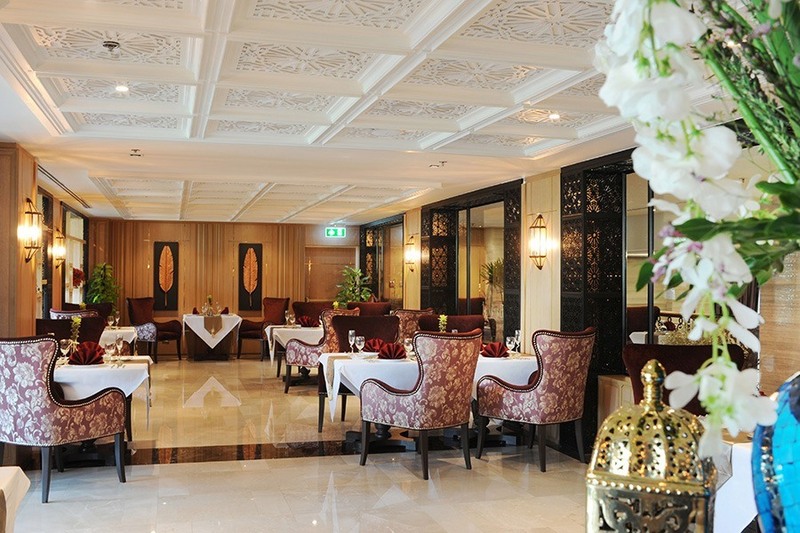 Barakat is a specialty restaurant with Mediterranean delicacies and a sophisticated ambiance. 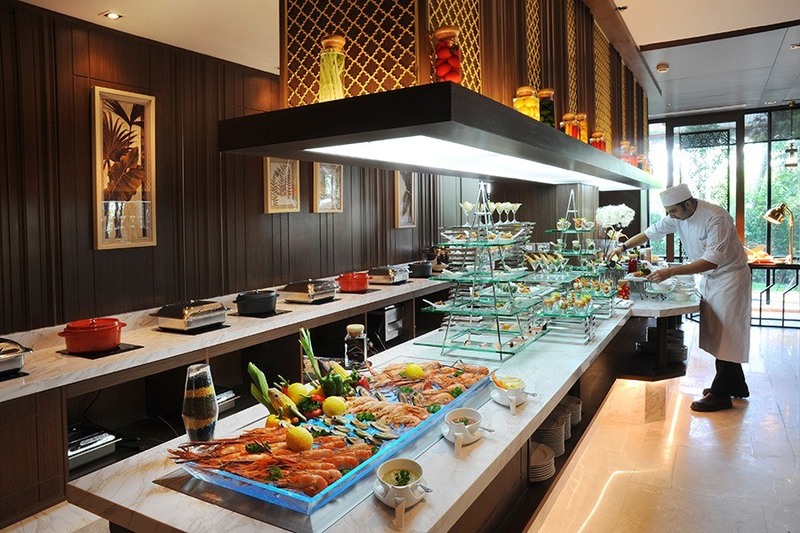 The restaurant welcomes guests with the tempting aroma of food prepared with fresh local ingredients. 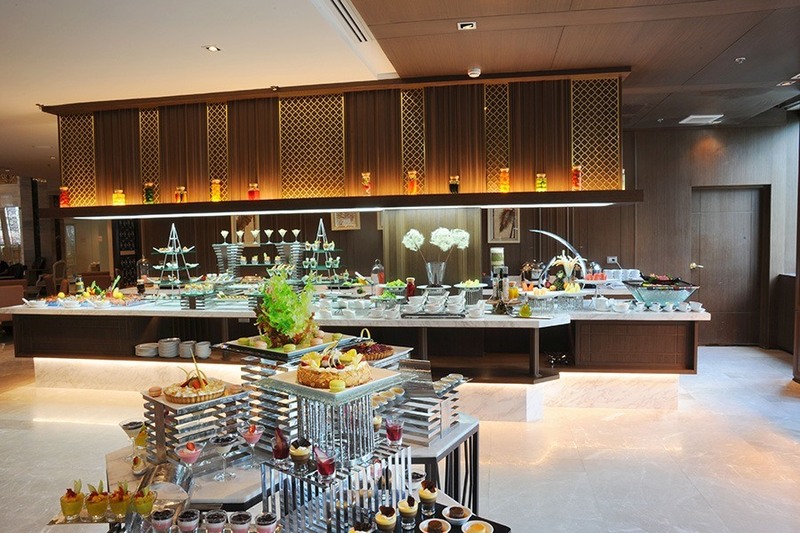 Breakfast is served every day and is available in the form of lip-smacking halal certified meals buffet. 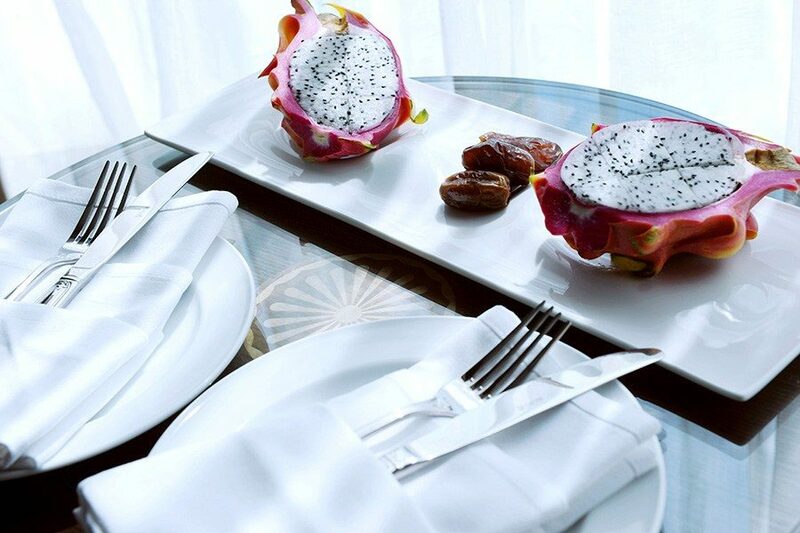 This is one of the top-rated restaurants with 5-star rated accommodation and services perfectly designed for the Muslim community. 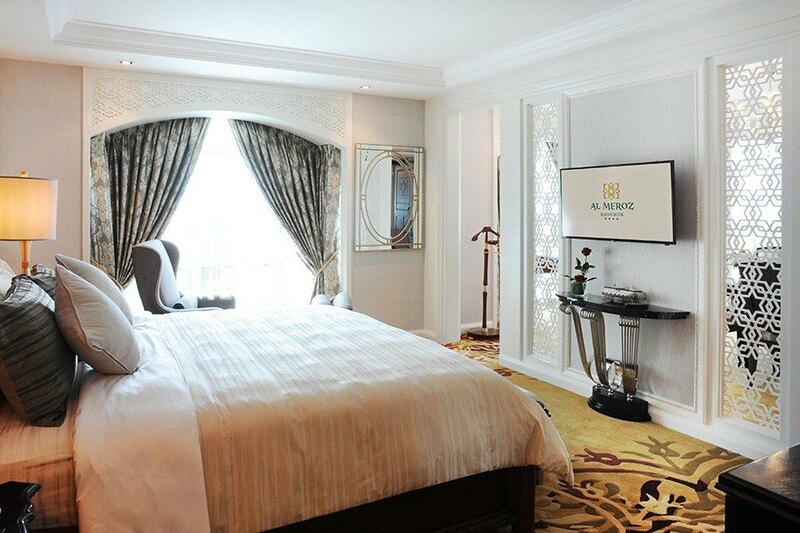 With the hotel offering two restaurants serving flavorsome food and the various amenities, Al Meroz Hotel Bangkok is the perfect place to stay while holidaying in Bangkok. 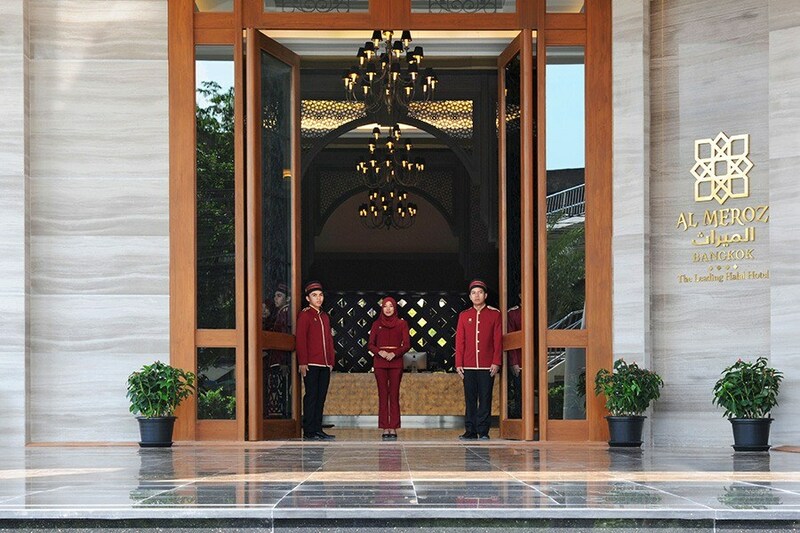 Which languages can the hotel staff members understand and speak? 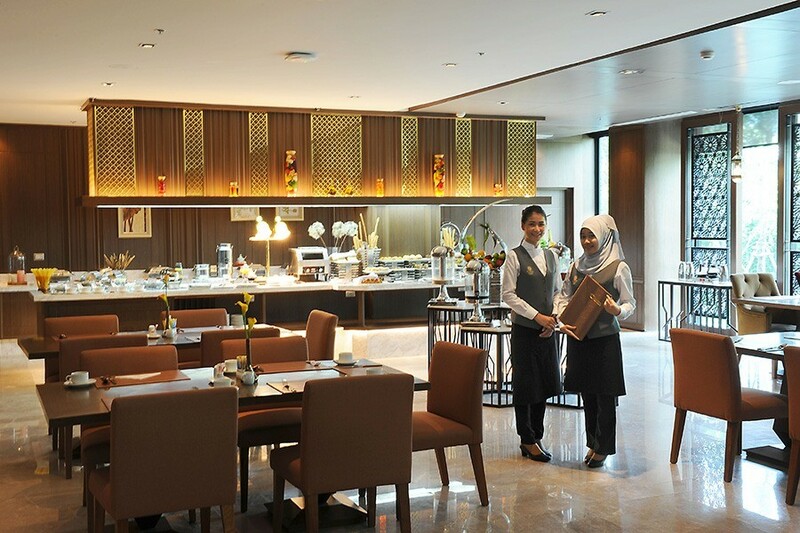 The hotel staff members can fluently converse in English, Indonesian, Thai, Arabic, and Malay. 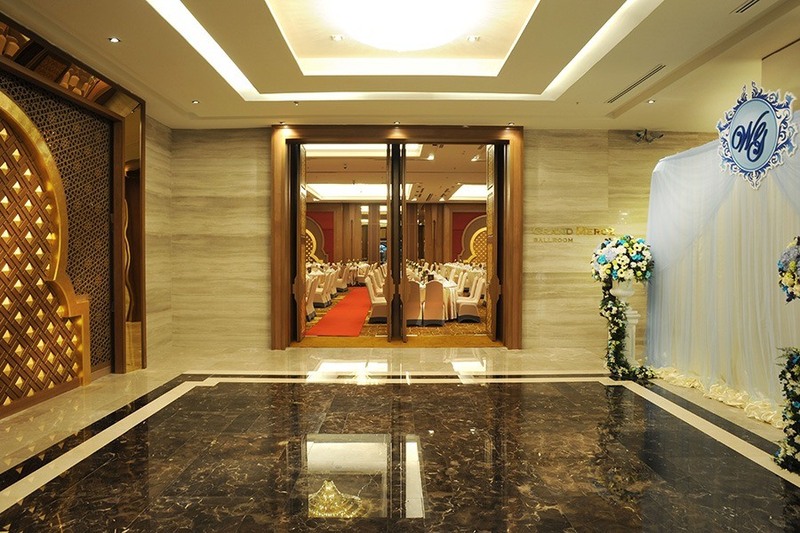 What facilities are offered by the hotel for kids and children? 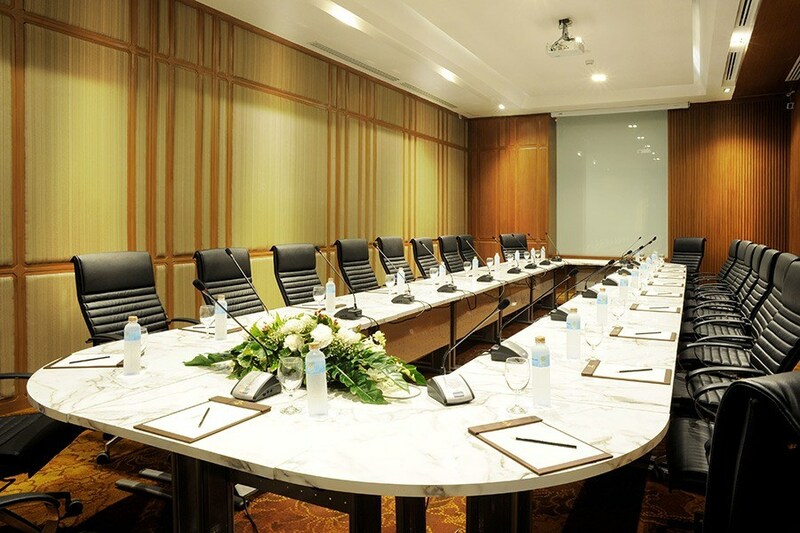 Babysitting services, a Kids Club and a swimming pool for kids are some of the many facilities available at Al Meroz Hotel Bangkok. 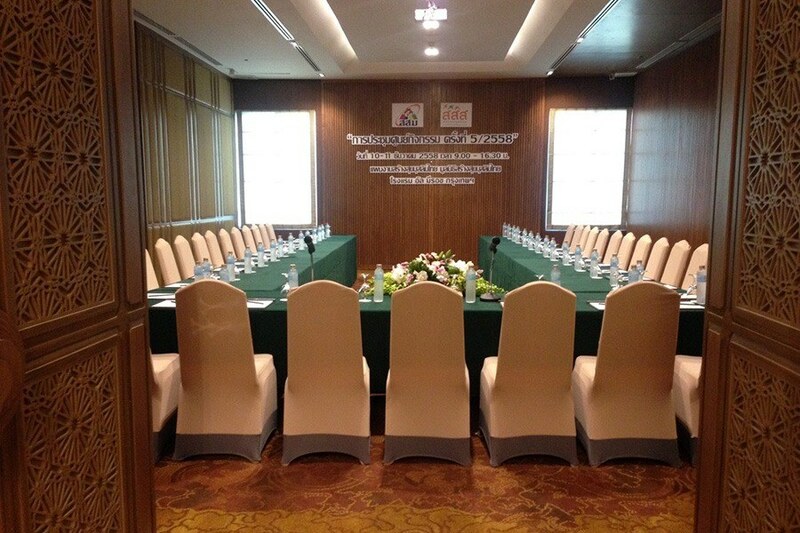 Is the currency exchange facility available at the hotel? 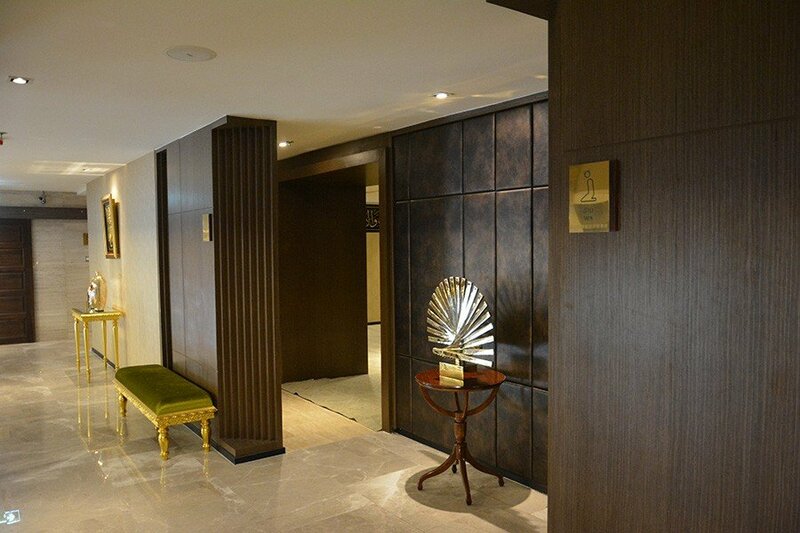 Yes, the currency exchange facility is available at the hotel. 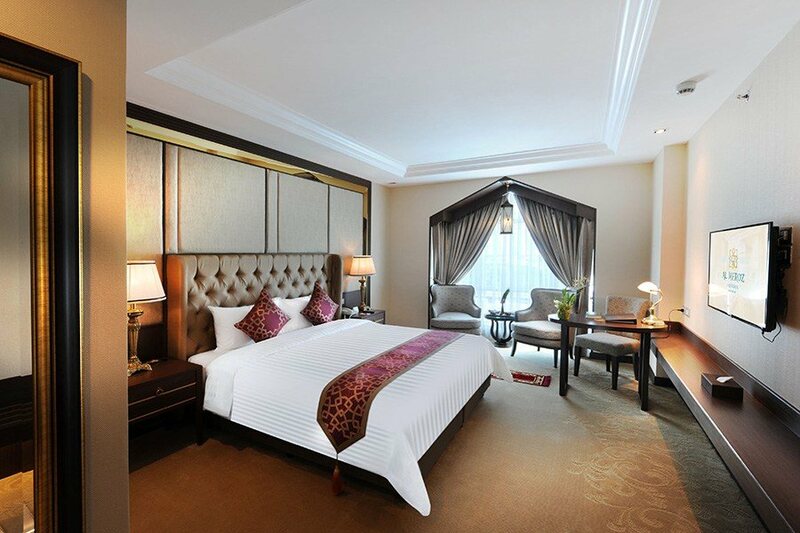 Is the airport shuttle service available at Al Meroz Hotel? 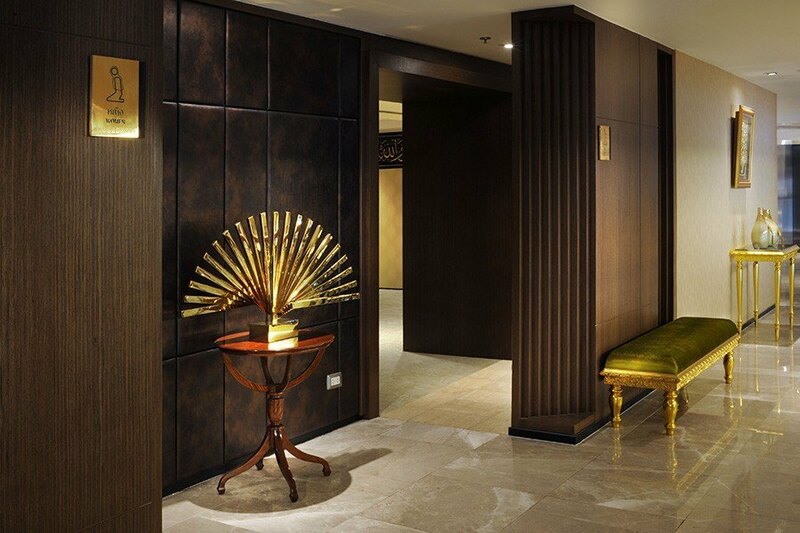 Yes, airport shuttle service is available. 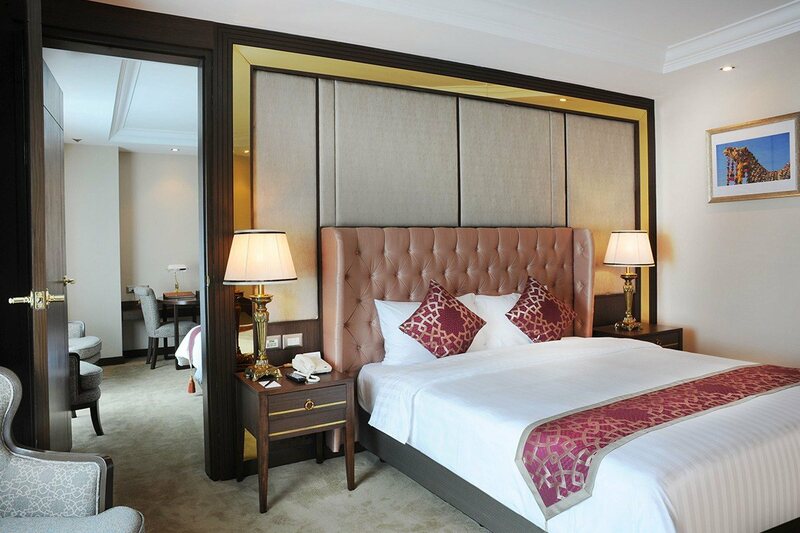 Guests can start checking in from 02:00 PM in the afternoon and would have to check-out before 12:00 PM. 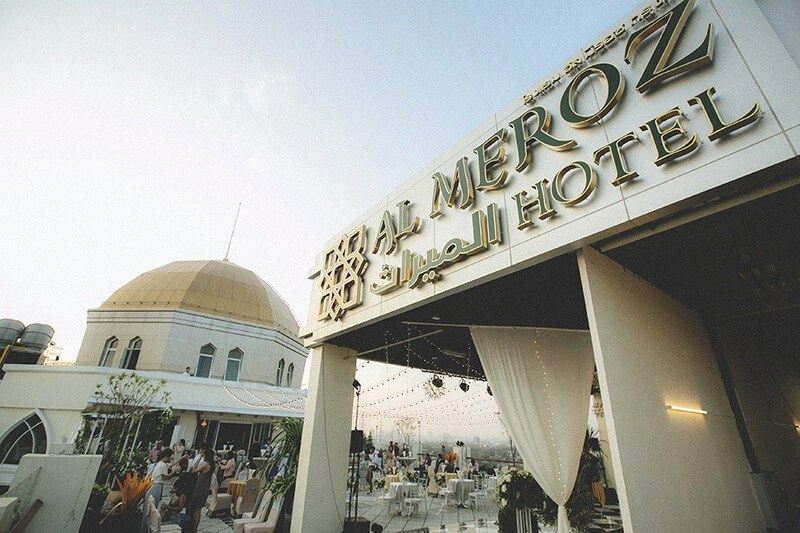 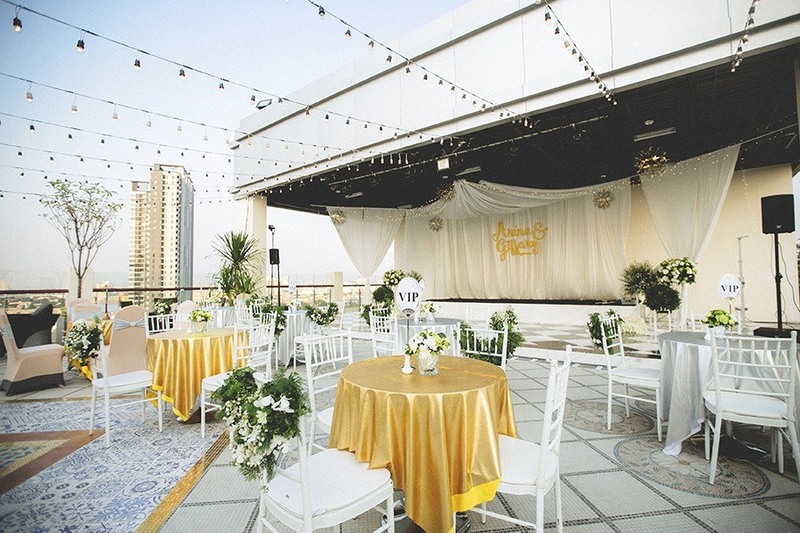 Al Meroz Hotel Bangkok is an ideal place to have fun and relax. 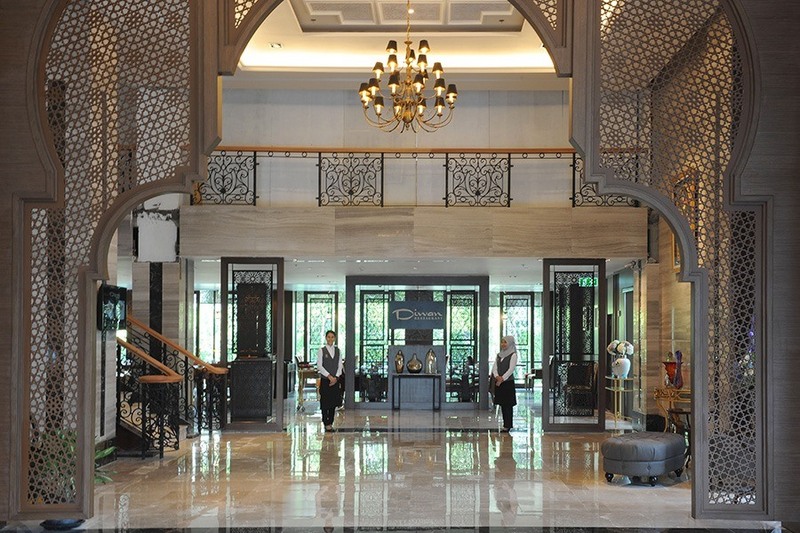 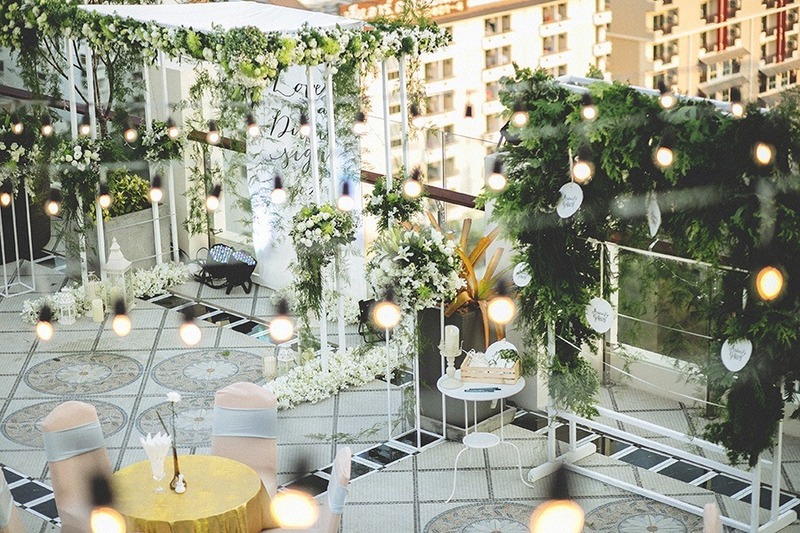 If one is from an Islamic background and wants to stay in a hotel that caters specifically to their culture, one does not need to look further than this five-star hotel. 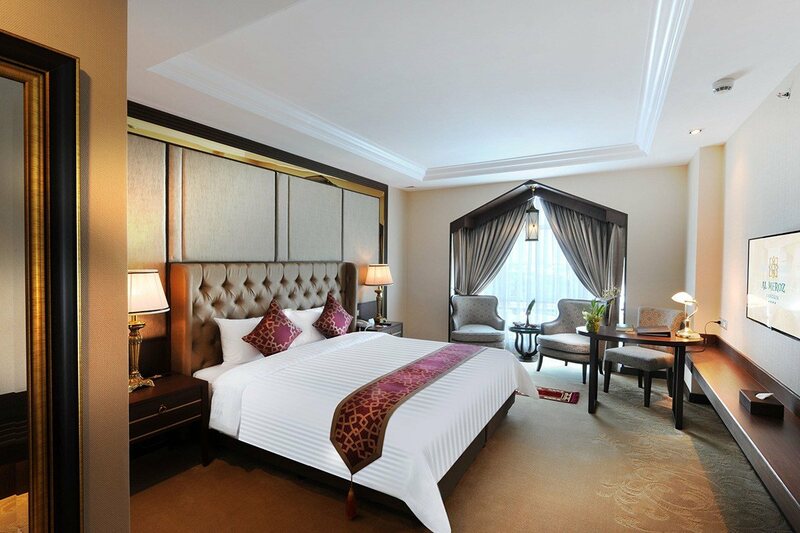 With so many luxurious services, amenities and facilities, this hotel offer a more than comfortable stay. 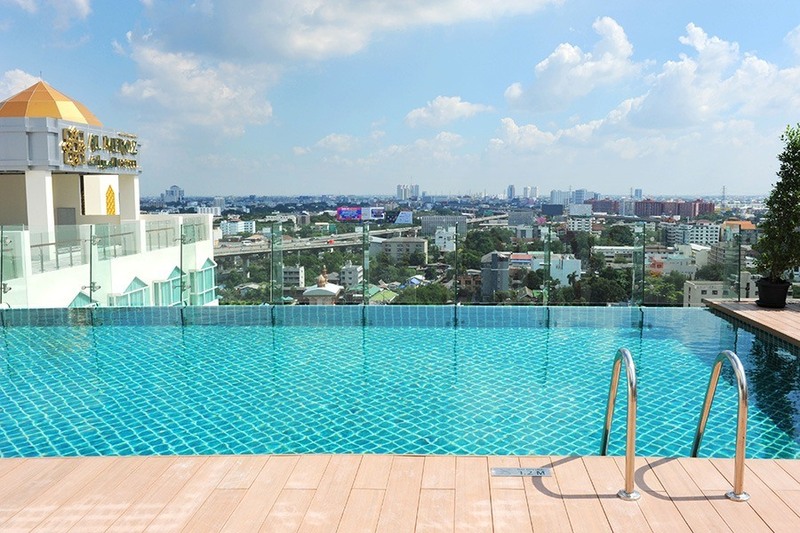 It is conveniently located to provide easy access to all the major attractions of the city including the City Centre, Terminal 21 Shopping Mall, Central World, Jim Thompson, Yaowarat Road, Wat Saket and many more. 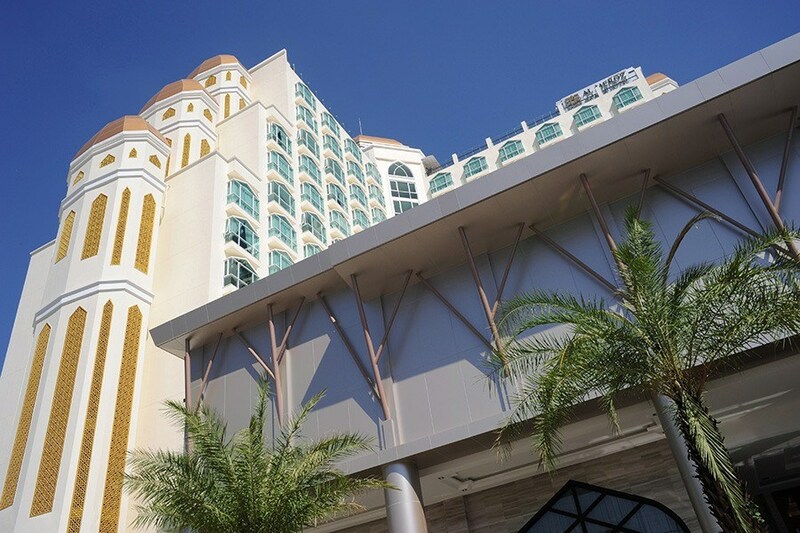 Even the transport stations are located in close proximity to the hotel property, providing an easy and fast transit means for the guests. 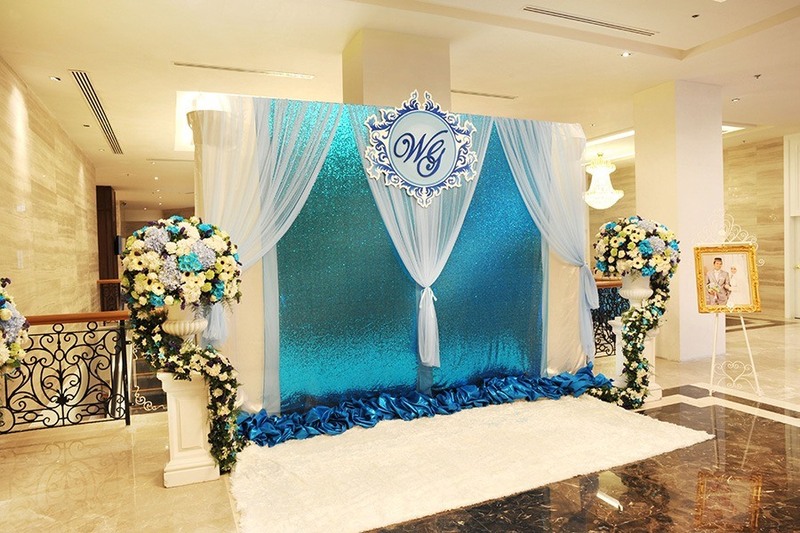 Specifically, the patrons from the Muslim community will be pleasantly surprised when they notice that everything has been custom designed for them. 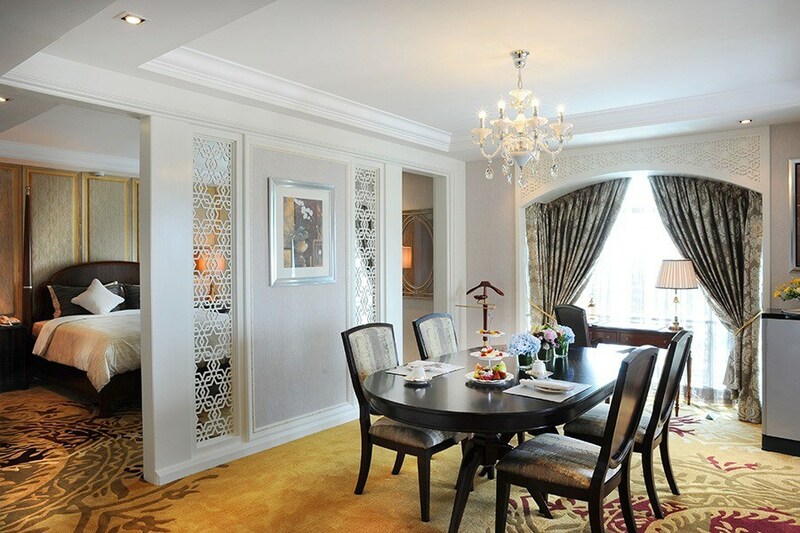 There are around 252 rooms/suites in total which offer a lavish living with huge spaces and luxurious facilities and services. 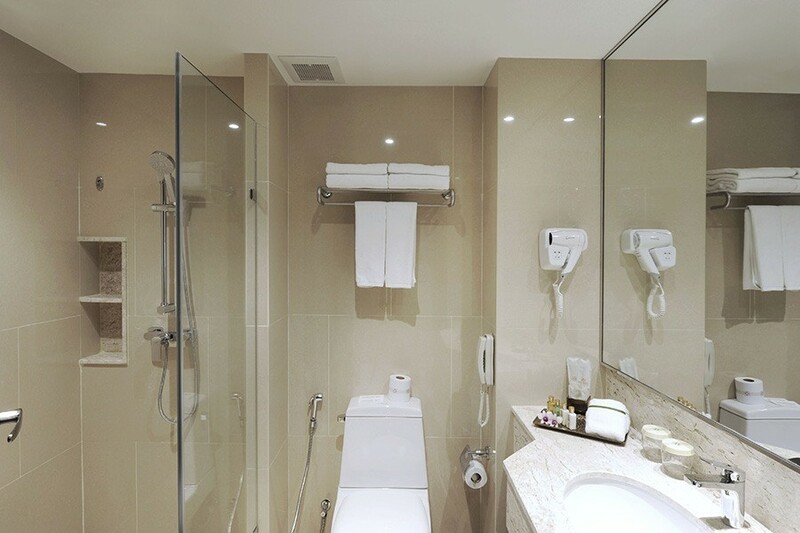 The hotel staff members can speak in many languages, are very friendly and helpful and can be approached anytime for any help with availing services. 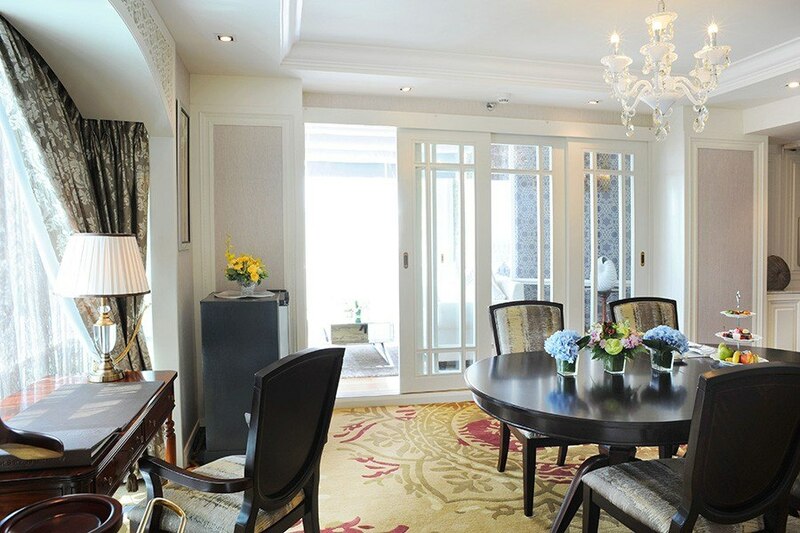 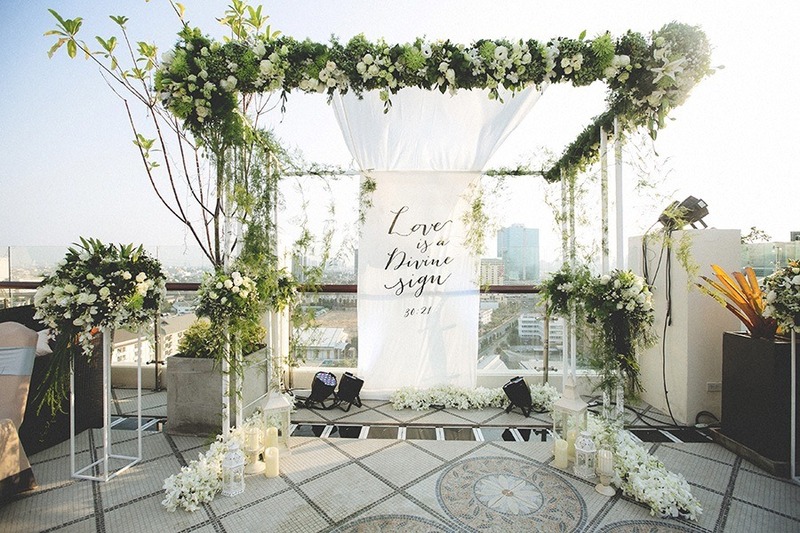 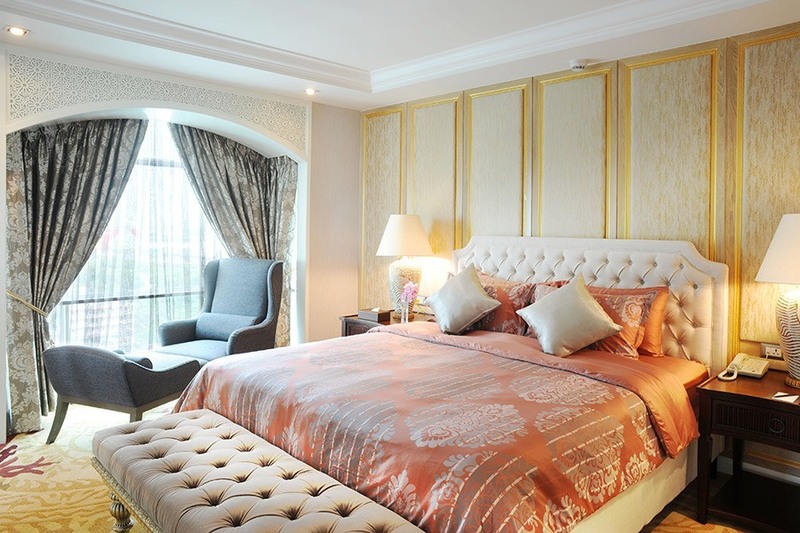 With so many good things offered by Al Meroz Hotel, it is easily the most opted luxury accommodation in Bangkok.